I'm taking on a new cause. I'm calling it "Food for Fashion" and basically I eat for every model or socialite that is starving themselves to fit into size zero gowns. Ok, let's be honest, if I did that I would weigh more than a jumbo jet as these days the less you eat the cooler it seems you are...so I would have to consume a lot of food to make up the deficit created. However, after lunch today I do actually feel as if I have eaten for England (or France as the case may be). 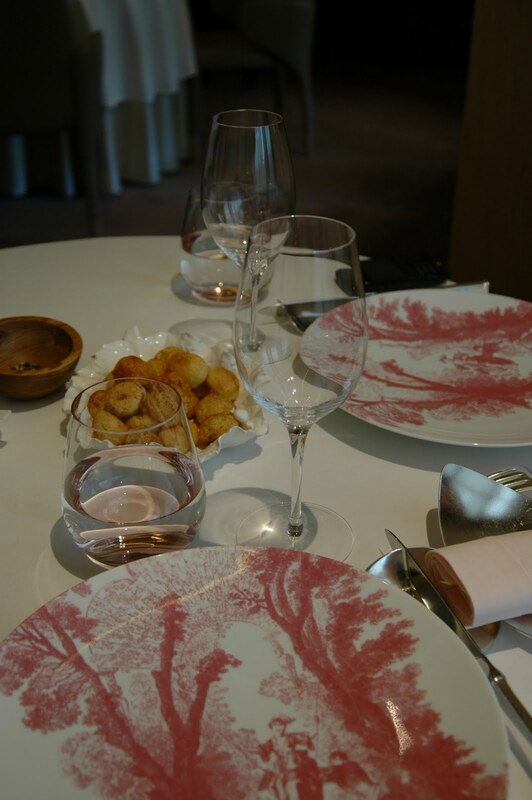 I was invited to lunch with the lovely "F" today at Alain Ducasse at the Dorchester in London. If you are a culinary buff you are aware that this particular establishment was awarded three Michelin Stars in January of this year. That's right, three!!!! 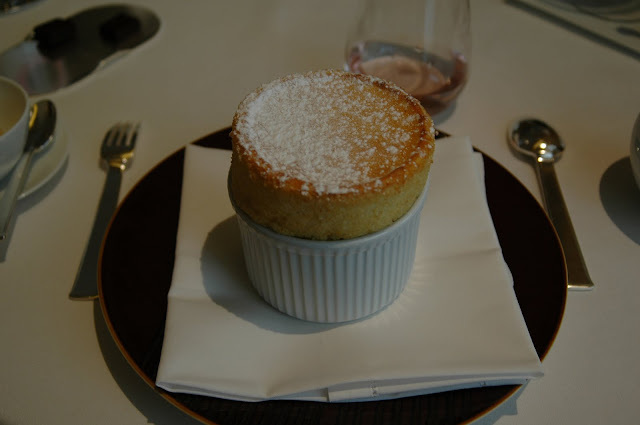 Alain Ducasse at The Dorchester opened on 13th November 2007. Located within the famous Park Lane hotel, at the heart of Mayfair, the restaurant is one of London’s most elegant venues. 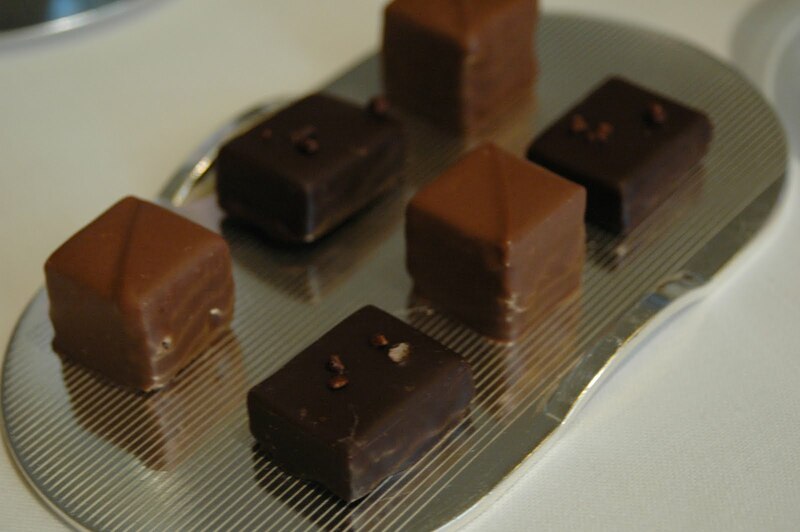 It has recently been named Best Newcomer by the 2009 Zagat guide and its Executive Chef Jocelyn Herland, who trained under the multi award-winning French chef Alain Ducasse, has developed an exciting menu which consistently respects and champions current seasonal produce – many sourced from the British Isles. 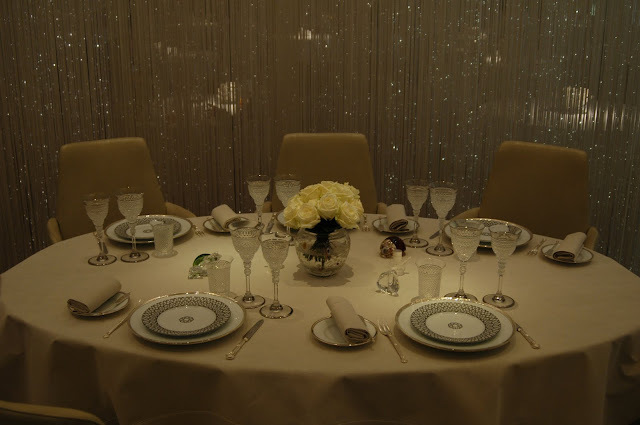 The centrepiece of the room is the stunning Table Lumière, a magical table which seats six guests, surrounded by 4,500 shimmering fiber optics (pictured below). The Dorchester Collection has chosen culinary masterminds from around the world to represent their high creative standards at the hotels. These gastronomic leaders boast numerous awards and acclaims between them, totalling in 11 Michelin stars across seven hotels, the highest ratio of Michelin stars to properties in any hotel group. In Paris, Alain Ducasse at the Plaza Athénée and Yannick Alléno at Le Meurice each have three stars. In New York, Justin Bogle's GILT retained its second Michelin star at the New York Palace hotel this year - one of only seven restaurants in Manhattan with two stars. Alain Ducasse at The Dorchester was also recently honoured with a very prestigious award for their secret weapon: Christian Laval. Tatler's Restaurant Awards 2010 has pronounced Christian to be the "best front of house" London has to offer. I couldn't agree more with this award. Christian is a jewel and made the experience all the more pleasurable with his presence. 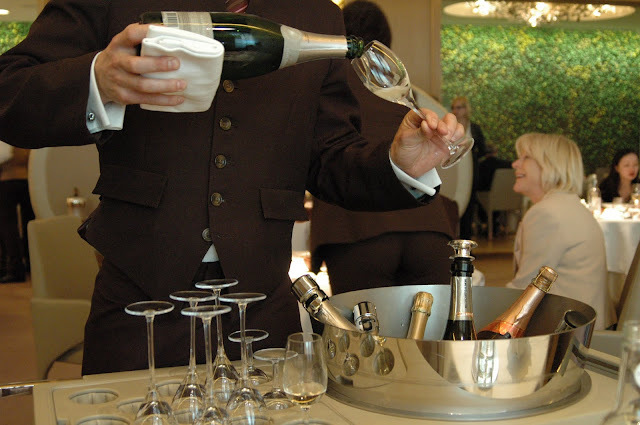 After you are seated a cart carrying an iced bucket of a variety of champagnes is wheeled over to your table and you are asked which champagne you prefer. This is the perfect way to begin a meal and I now believe there is actually no other appropriate start to a meal. Restaurants around the world take note...I will not eat without a glass of champagne to activate my taste buds from the word "go". With your bubbly you are given lovely little nibbles as you sit and enjoy the calming atmosphere of the spacious and modern decor. These cheese pastries melt in your mouth and act as a small wake up call. They deliver little whispers saying, "are you ready...here comes an experience you will not soon forget!" You are offered bread and presented with butter like I have never in my life seen before...now you may be thinking, "Emily, why are you showing us butter?" Well, readers...you can tell a lot about a restaurant by the butter they place before you. 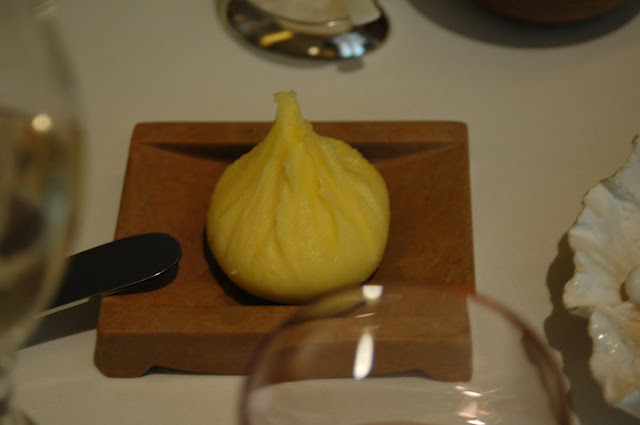 This butter was not only presented in impeccable form, it was also soft and easy to spread. Think back to the last restaurant you visited...was the butter fresh from the fridge, hard as a rock and impossible to break, let alone spread? You may now see my point. Now on to the first and second courses that have changed the course of my culinary life... I will also mention that we allowed the Sommelier to choose our wines for each course. I highly recommend taking this route when dining with such amazing foods. Their Sommelier is one of the best in the business and he proved himself over and over again with what was presented today. 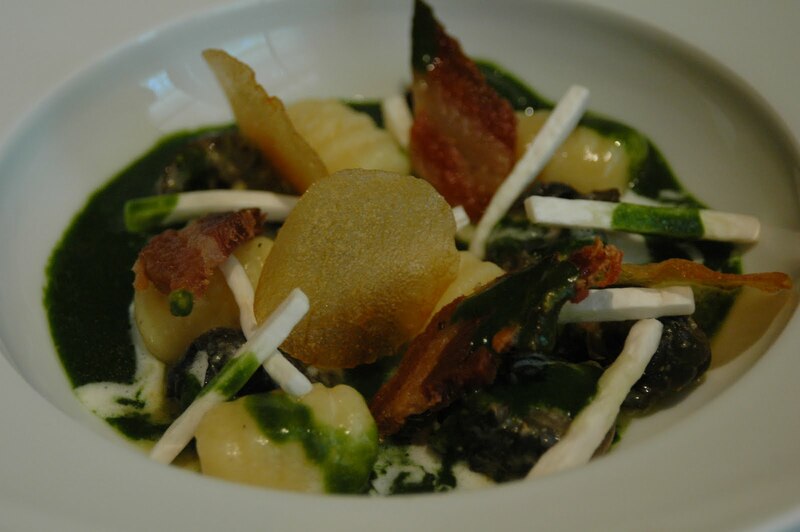 Above: "F" had the Hereford Snails in a parsley butter with potato gnocchi and bacon. She adored her entree. However, I think next time I come in to dine I will have to put on a brave face, stare down the unknown and order the snails for myself. 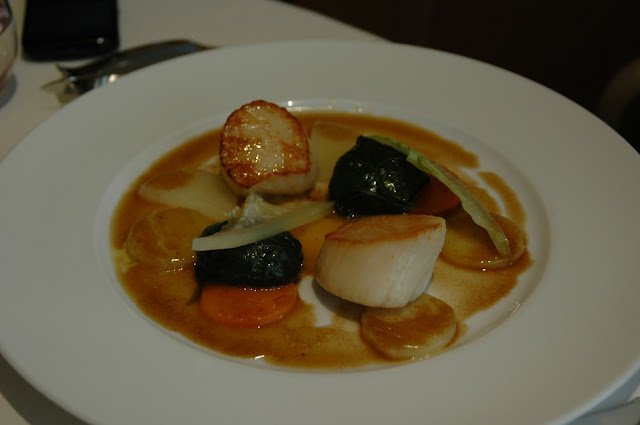 Above: "F"'s main....Seared Sea Scallops, spring vegetables and braised lettuce. I couldn't resist letting my fork sneak onto F's plate to steal from the most enourmous scallop I have ever laid eyes on. It also turned out to be the most melt in your mouth perfect scallop on planet earth. Above: My main and the piece de resistance...Roasted rib, saddle and kidney of milk fed lamb with purple artichokes and soft garlic croquettes. Words fail me. If you have one meal before you die....this is the one. 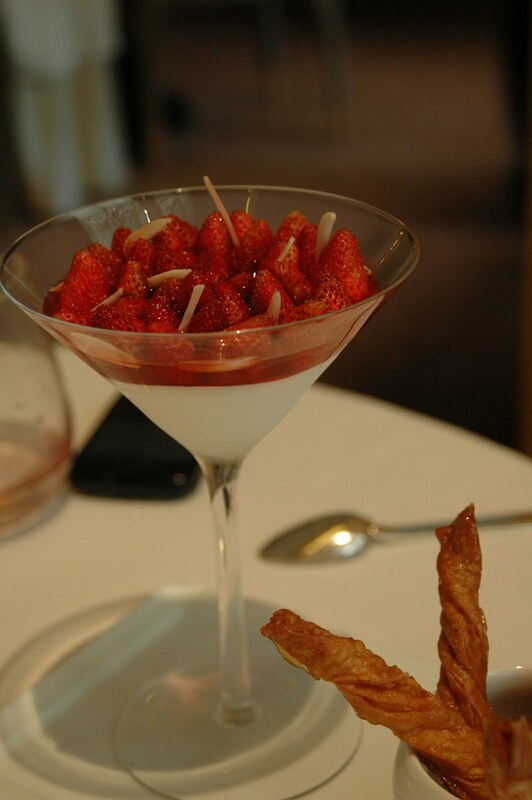 You have to love a restaurant where dessert is presented as an entire meal in itself. 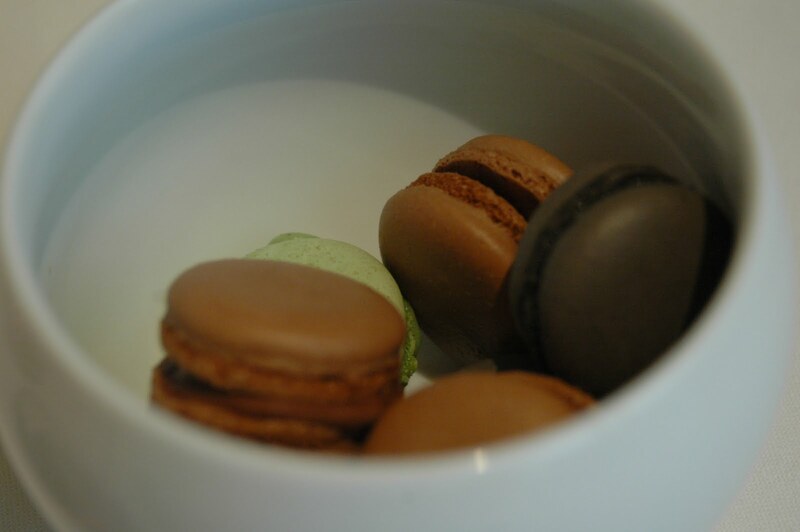 It comes with a first course of chocolates and mini macaroons that make you feel as if you are sitting in Paris as your teeth break into the soft sugary shell and your senses scream out for more. The Lime Souffle, white cheese and Sichuan pepper sorbet, which was so light it could almost be mistaken for a fluffy cloud of tongue teasing perfection. 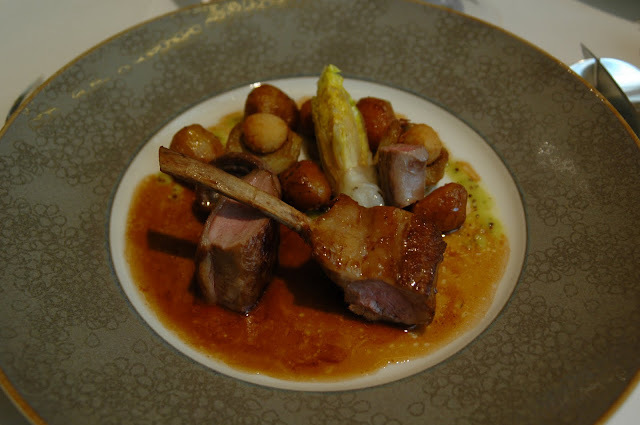 Today I found my heaven....Alain Ducasse at The Dorchester. It doesn't get better. And Ladies....here's a special deal to take advantage of right now! 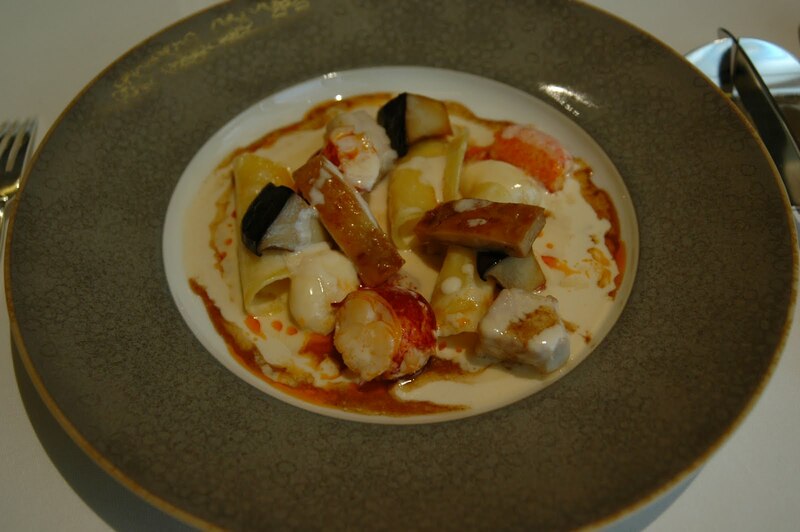 Alain Ducasse at the Dorchester has produced a dinner menu especially for ladies only during the World Cup. Whilst the men are watching the games, ladies can enjoy a great value dining experience at the three starred Michelin restaurant from just £95. Offer valid from 15th June – 10th July – upon availability. A Big thank you to "F" for treating me...to Christian for being the most charming individual in England...and to the entire team that looked after us as we dined. We were spoiled at every turn.